There is more to the Corvus RG160 smart phone than meets the user’s eye, its standard 3x4 keyboard with tangible keys and cursor cross unquestionably impresses and pleasantly instigates new client’s interest. Separate keys to dial and reject calls, delete text, switch keyboard, open menu and a “Back” key contribute to simple and transparent use. These are matched with big side keys including a settings key to configure functions as you wish. Spare your fingers from pain, do not type SMS, emails or notes, searches or numbers on the calculator, etc., simply dictate your text to Corvus. Corvus writes your text with interpunction signs, which are usually not available in dictated messages. You easily clear your SMS of diacritic signs which minimizes message characters and saves you money. And, last but not least! If you decide you really want to try a touch screen, Corvus RG160 fully controlled by its keyboard also allows you to tap its touch screen. It is an optional service in the Corvus Interface and could lead many from the standard “keyboard” mobile phones to top class touch screen phones. Still, it is up to you, if you use it. Let’s be honest. Annoying accidents happen no matter how careful one is. Our phone slips from our hands, what bad luck, it drops right onto a sand playground or, heaven forbid, into a toilet. Such accidents happen J No need to worry if you have a Corvus phone, as its IP68 rating guarantees it survives any catastrophe (it withstands dust, a fall from 1.5 m, is waterproof for 30 mins at 1.5 m depth). All this in small dimensions and weighing only 137 g - unprecedented in this resistant phones category. Incredible how it fits your hand despite such resistance. Corvus designers never underestimate their clients. On the contrary, they are well aware that most users currently require much more compared to their beginnings with mobile phones. This is also true for most of those initially afraid of smart phones who could not even imagine using them. “Unlike some phones from our competitors, Corvus RG160 does not block our users, in fact precisely the opposite, its uniquely combined Corvus Interface and Corvus Reader encourage users to personal growth,” Martinovič adds. The Corvus team includes mainly experts with visual impairment, identifying and solving the blinds' and partially sighteds' needs comes naturally. They considered your safety and privacy when designing Corvus RG160. For example, your phone gives you your location if you get lost, which you may easily send to your family and friends. Optional screen shadowing will dissuade unwanted snoops. No one will ever stare over your shoulder at your phone screen. The Corvus team also took your everyday routine into consideration. They pioneered QR-code stickers for object labelling to help the blind and incorporated this function into their apps set and this phone. You can label a bought compote can with a small sticker and teach Corvus what food is inside. Later on you can pick the can up from similar shapes, scan the sticker and immediately know what you are about to eat. Additionally, you do not have to (but still can) buy QR stickers. Print them easily at home using your home office printer. Practical functions also include a handy (and emergency - due to camera parameters) magnifying glass and a torch designed especially for the partially sighted. Dial one digit on the main screen to contact your family/friends or tap a configurable key to enter a frequently visited external app; immediately know the time or phone conditions by switching to the main screen. You may also activate some preferred function by a simple shortcut from the main Corvus screen. You do not have to create, nor remember any, but can use up to 20. Corvus RG160 of course offers many practical functions such as notes, dictaphone, music player, calculator, calendar, task manager, etc. We keep adding new functions, you cannot miss them as they are upgraded throughout your phone service life and you can follow the upgrade. Corvus digital libraries store almost 200.000 books, so far mainly in Slovak and Czech, some in English and German, for blind readers. It only takes logging in, searching, downloading and you are ready to listen. It cannot be simpler. There will be more and more interconnected digital libraries worldwide. If you do not wish to sit at home, our users even ran in the New York Marathon. Corvus cannot run instead of you, but it will oversee your sport activity. However, if you prefer to stay home, the RSS and podcasts reader will supply your smart phone with worldwide news, and Corvus makes an internet search engine easily available. What else? Play a phone game. Hangman is very popular. The list of functions, modules and “trendy picks” would be exhaustive. One look is worth a thousand words, get familiar with the phone at a sales point or directly buy one there. Is it just for anyone? It is not. Definitely not. There are many users who prefer powerful, “parameter-packed” phones with the most recent operation system, loads of sensors, a great camera, a huge memory and especially those who do not avoid “touch screens”. We definitely advise them to consider buying the Corvus Effective PLUS applications set they could use on their dream phone. 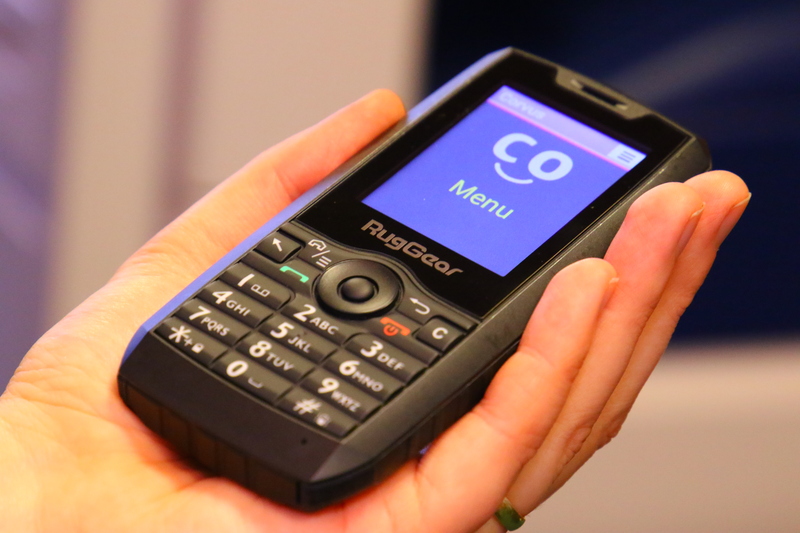 Corvus RG160 can open the way to smart phone advantages even to those thus far avoiding smart phones. They could step-by-step abandon keys as many Corvus users have already done. It is exclusively up to your preferences and decisions. You really cannot find such a cheap phone packed with great functions and simple handling designed for the blind. The Corvus RG160 equipped with pre-installed Corvus and activated Corvus Effective license is sold at an unbeatable price. 238.00 Euro only. A Corvus license already linked to your phone number, i.e. you already have the Effective PLUS variant, saves you money. If so, we recommend you purchase the Corvus RG10 with pre-installed Corvus without activated license, which benefits you and you pay only 148.00 Euro. You can simply transfer your Corvus Effective PLUS license. Order and buy Corvus RG160 online at the Corvus web page http://www.corvuskit.com which lists our regional distributors. There is really nothing preventing you from getting the phone, and we guarantee it will make your life better.